We’re big fans of Dario Argento here at 2 Guys & A Chainsaw. His films don’t make a lot of logical sense, but they are so well-crafted and creative, with such beautiful imagery, that we’ll overlook all that for style over substance. We both enjoyed this surreal and stunning tale about a psychic girl and her special insect friends. We reviewed the superior uncut Italian release, as opposed to the American version with the misleading poster art and alternative title of Creepers. 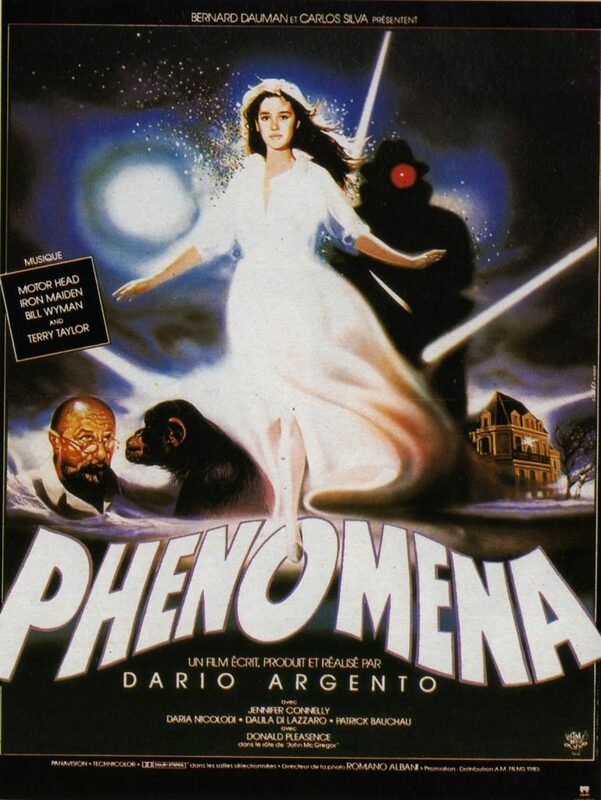 This entry was posted in and tagged bugs, dario argento, Horror, jennifer connelly, phenomena, podcast, psychological. Bookmark the permalink.